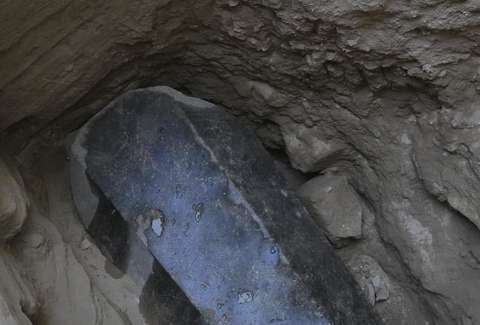 Almost two weeks ago, archeologists found a massive black sarcophagus in Alexandria, Egypt. It captured imaginations the world over. Some speculated it might contain Alexander the Great. Others have seen enough Brendan Fraser movies to know there was definitely a curse inside. Experts unsealed the sarcophagus on July 19, and it contains neither of those things. 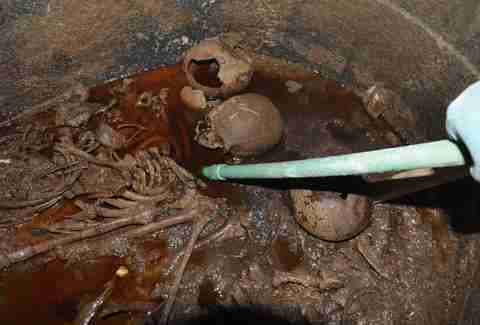 It contained three decomposed mummies and rust-colored sewage, according to Egypt's Ministry of Antiquities. A team of archeologists hired by the Ministry opened the relic. That sewage, reports Egypt's El-Watan, was so putrid smelling the team lifted the lid only a couple of inches before they were overwhelmed by the foul odor. They had to leave the scene and come back to remove the lid with help from Egyptian military engineers, reports the BBC. 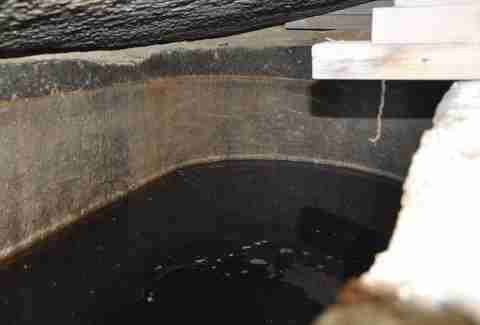 The sewage is believed to have leaked into the sarcophagus through a crack on one side. "We found the bones of three people, in what looks like a family burial," said Mostafa Waziri, secretary-general of the Supreme Council of Antiquities. "Unfortunately, the mummies inside were not in the best condition and only the bones remain." The 30-ton black sarcophagus itself is enormous. It's the largest of its kind found fully intact at just over 6-feet high and 9-feet long. There were enough people that feared some mummy movie hex, that Waziri addressed the possibility of a curse with the media. "We've opened it and, thank god, the world has not fallen into darkness," he said. "I was the first to put my whole head inside the sarcophagus... and here I stand before you." Shaaban Abdel Amonem, a mummification specialist on site, said the three entombed bodies were probably soldiers. One skull contains a crack that experts surmise could have been the result of an arrow. The team also found an alabaster bust inside the sarcophagus, but the details were weathered past the point of recognition. The remains have been taken to the National Museum of Alexandria for further study and conservation.